Dulce Mendez is a 16 year old junior. She was born in Los Angeles, CA. 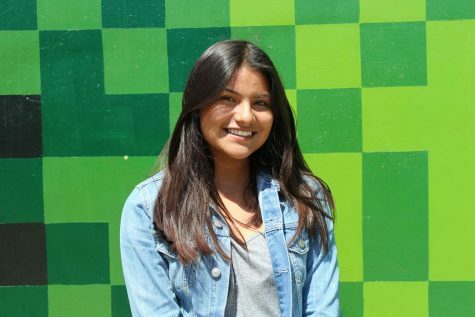 When she was in the 6th grade, her family decided to move to Salinas. She says that she didn’t like school in Los Angeles because she would always get in trouble. In her family there are nine members including herself, her parents, her two brothers and four sisters. Her favorite sport is soccer because “the intensity of the game” is what drives her to be a good and competitive player. She is also interested in the clubs at school, but not any one in particular. Her favorite show is Grey’s Anatomy, her favorite food is lasagna, and her favorite color is burgundy. She joined Yearbook/Journalism because she said that she wants to get better at writing, even though she hates to write. She hopes she goes to Long Beach State and become an anesthesiologist because ever since she was little she had to inject her father due to his medical condition.